After so many successful launches, it was particularly sad to see a SpaceX rocket blow up. That is what unfortunately happened yesterday about two and a half minutes after the Falcon 9 with the Dragon transporter on board had initially launched successfully, but shortly before the first stage separation something went catastrophically wrong and the rocket exploded in a huge cloud of smoke. This would have been the eighth successful launch of a Dragon transporter to the International Space Station by SpaceX and a complete failure is what nobody had really expected at this point. The video of the launch is actually hard to watch because it seemed like a picture-perfect liftoff in the beginning. 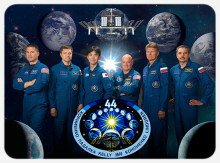 This is another edition of my now regular articles about the crew changes on the International Space Station – this one comes a bit sooner than expected because there has been some slight reshuffling and delays of the crew rotation. After the failed launch of a Progress transporter at the end of April all plans were off, but soon after the situation somewhat stabilized and apart from an actually very welcome extension of Expedition 42/43 everything seems to be back on track now. Tomorrow three Astronauts will return to Earth after a surprisingly long stay of six and a half months, while their replacements will only arrive about six weeks later. As usual, I just like to keep an overview of who is up in space and I hope to continue these articles – the next one may be due in Autumn, but who knows what will happen next!